The fertile year that signalled the spectacular creative resurgence of Eric Clapton will be celebrated with the 25th November 2013 Super Deluxe release of Give Me Strength: The ‘74/’75 Recordings. This exemplary collection features no fewer than 29 bonus tracks (12 of them previously unreleased) from the extraordinary period between April 1974 and June 1975, in which E.C. reclaimed and enhanced his status as one of rock’s most legendary guitarists and singer-songwriters. Give Me Strength houses expanded, remastered versions of his acclaimed studio albums from the period, 461 Ocean Boulevard and There’s One In Every Crowd, the subsequent live set E.C. Was Here (now both remixed and expanded into a double CD), and a disc containing the complete, fabled Freddie King Criteria Studios Session. A sixth Blu-Ray disc adds a newly-available 5.1 Surround Sound mix of 461 and the original quadrophonic mix of both studio releases and the live album. 461 Ocean Boulevard, released in the summer of 1974 and named for the Miami beachfront mansion where the band lived during the recordings, marked Clapton’s return to recording after an absence of three years, and emphatically announced his creative and personal rehabilitation. Previewed by his signature interpretation of Bob Marley’s I Shot The Sheriff, which topped the Hot 100, the album followed suit, leading the Billboard chart for four weeks, and going on to sell four million copies in the US alone. The new edition contains session outtakes and unreleased versions of Getting Acquainted and the album staples Please Be With Me and Give Me Strength. There’s One In Every Crowd, recorded in Kingston, Jamaica at the landmark reggae studio Dynamic Sounds, was created in a break from the triumphant tour that followed the stunning success of 461. This restored edition offers Clapton’s non-album single interpretation of Bob Dylan’s Knockin’ On Heaven’s Door and a selection of session outtakes and unreleased tracks. That tour would be commemorated by the E.C. Was Here double set, now expanded across two discs with numerous unissued extras such as versions of Layla, Crossroads and Little Wing. That’s followed by the historic sessions at Criteria, where 461 had been made, in the summer of ’74 with Clapton’s hero Freddie King, for King’s Burglar album. Four tracks from those sessions appear here, including a glorious, 22-minute Gambling Woman Blues. 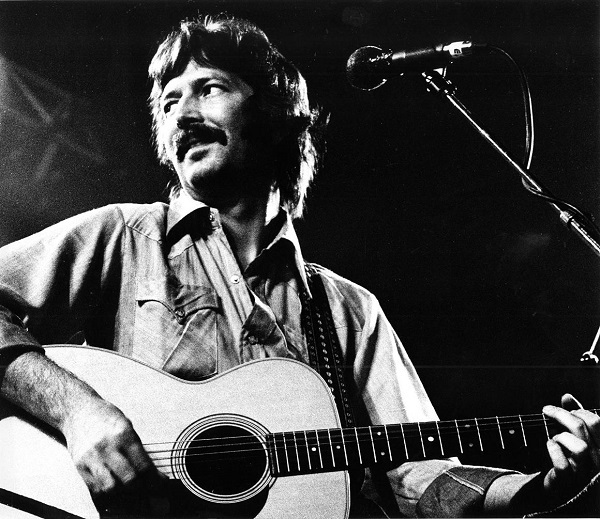 Rarely in rock history has an artist redefined and augmented their creative oeuvre quite as Eric Clapton did during the 1974-75 season. Give Me Strength: The ‘74/’75 Recordings salutes this watershed era to stunning effect. 1 RAMBLIN’ ON MY MIND / HAVE YOU EVER LOVED A WOMAN 8:15 Recorded at the Hammersmith Odeon, London, December 4, 1974. 3 THE SKY IS CRYING / HAVE YOU EVER LOVED A WOMAN / RAMBLIN’ ON MY MIND 7:25 Recorded at the Hammersmith Odeon, London, December 5, 1974. 5 DRIFTIN’ BLUES 6:55 Recorded at Providence Civic Center, Providence, Rhode Island, June 25, 1975. 6 EYESIGHT TO THE BLIND / WHY DOES LOVE GOT TO BE SO SAD 23:50 Recorded at Providence Civic Center, Providence, Rhode Island, June 25, 1975. 1 461 OCEAN BOULEVARD Elliot Scheiner 5.1 Surround Sound mix (previously unreleased) 5.1 Surround Mix by Elliot Scheiner at The Eyeball. 2 461 OCEAN BOULEVARD original quadraphonic mix Mixed by Tom Dowd at Criteria Recording Studios, Miami, Florida, January 1975. 3 THERE’S ONE IN EVERY CROWD original quadraphonic mix Mixed by Tom Dowd at Criteria Recording Studios, Miami, Florida, January 1975.